Skrållan Talking Doll from Axis Toys. Over here at 2masters_and_a_miss, we are so lucky to have received yet another stunning doll from our friends at Axis Toys. Skrållan doll is 45cm long and was born in 1966 and has since become Swedens most popular talking doll! When we opened the shipping box, Elsa gasped. 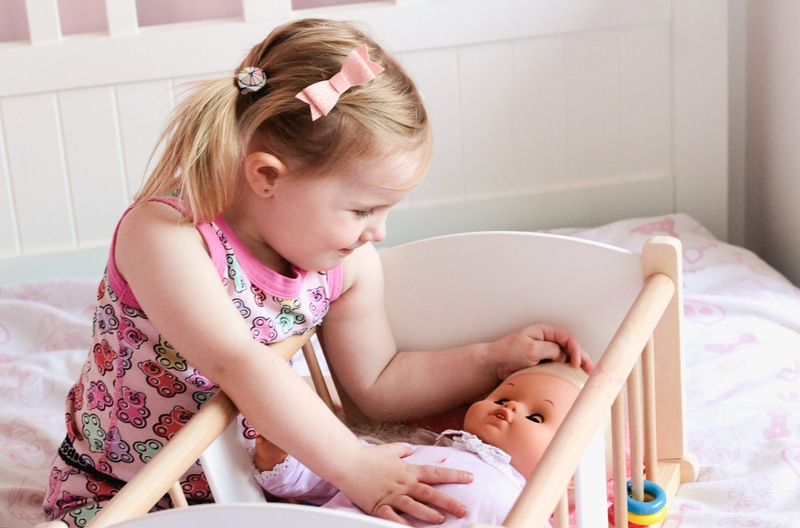 She was over the moon that her new dolly was PINK. She is pink obsessed so she’d pretty much been won over instantly! The next thing she noticed was her hair. “Oh mummy, I love her hairrrr.” And so did I! Even I couldn’t wait to unbox this stunning doll! Once we took her out of the box, Dex decided her name was Lily. Luckily Elsa was happy with that because it seemed she didn’t get a say haha! We pushed her tummy to hear her speak for the first time, and got a shock! She was speaking a different language. We all thought this was very cool, and opened up a dialogue about how people have different backgrounds and can speak other languages. As I opened the back of Skrållan doll to change the language, I realised she spoke not two or three, but five different languages! She speaks Swedish, Danish, Norwegian, Finnish and English. So we switched it to English and Elsa could not stop pressing her tummy to hear her speak. In total, Skrållan doll can say 24 different sentences. Her laugh is infectious! 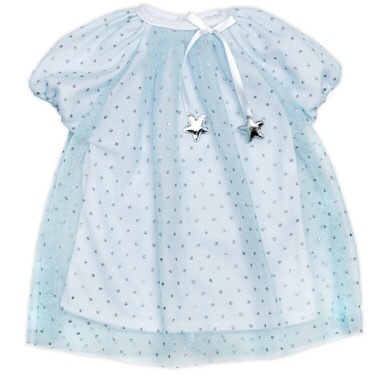 We then decided to change little Lily out of her pyjamas, and into the most stunning blue party dress, also by Skrållan. The details were so on point on this dress, if only we could have a matching one for Elsa! Once we were all dressed, Elsa thought it would be nice to brush her hair. It was so soft and thick and silky, perfect for little hands to brush easily. 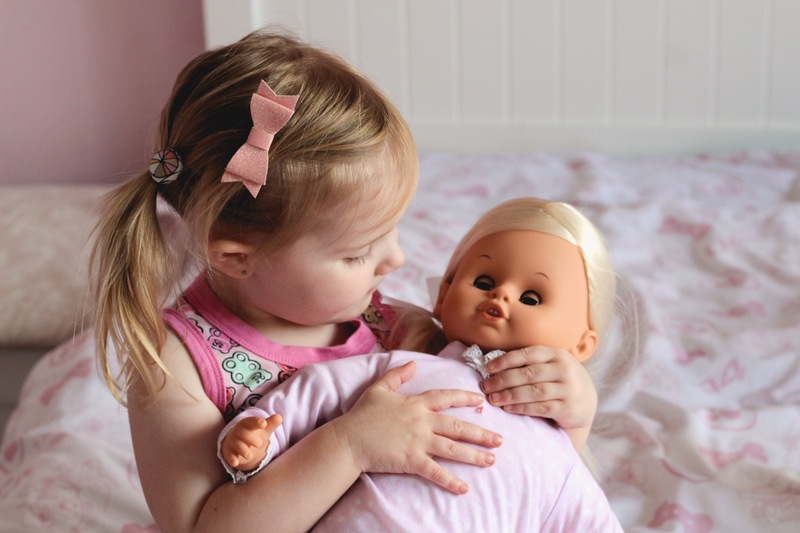 Elsa is totally in love with this gorgeous new doll, I can’t seem to get it away from her! The soft, plush body certainly helps as it means she is perfect for cuddles! Next, Elsa is of the opinion Lily is sleepy and it’s time for bed. So we put her (and Elsa) into her pyjamas and laid Lily down in her cradle (not included). As we put her in her cradle Elsa squealed “she ASLEEP!” because her eyes close as you lay her down. She was so excited! We loved all of Skrållan doll’s little details. Her eyes that open and close, her little mouth, her knee dimples and her cute little feet and her little toes complete with knuckles and skin creases! 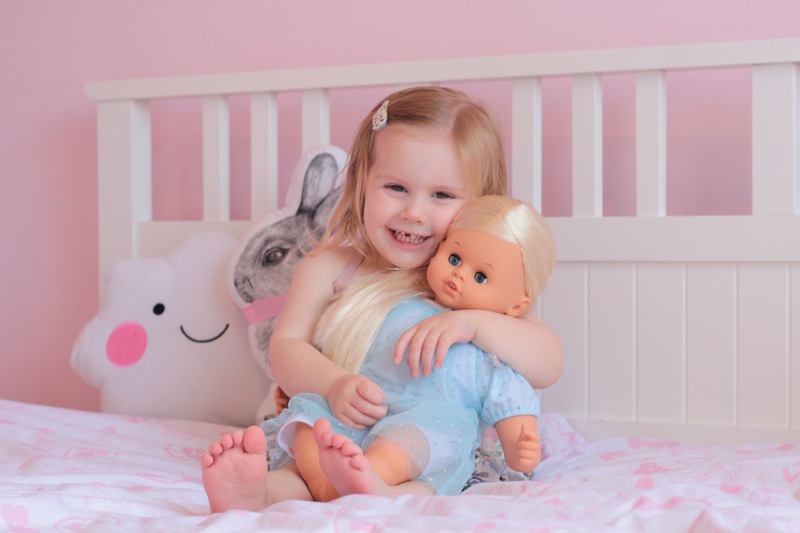 Elsa loves to cuddle up with Lily Skrållan doll every night for bedtime, and being so soft and cuddly I am happy to leave them snuggled up in bed for the night. 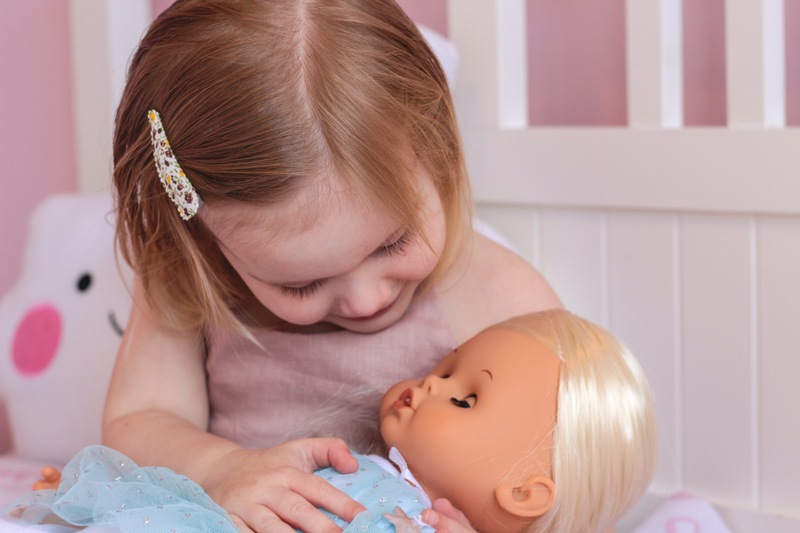 We are pretty excited to find out Skrållan doll has a little sister (named Lillan which could get confusing after Dexter named this one Lily 😂) and we may have to try to find one for Elsa from Santa! Next postSilent Disco by Party Higher.